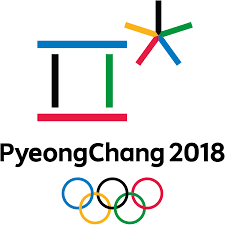 The 2018 Winter Olympic Games will be held from Feb 7-23 in Pyeongchang, South Korea. 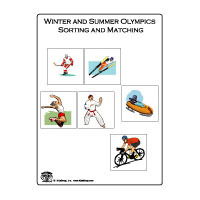 Discuss the Olympic Games with children. Explain that the Olympic Games originated in Greece. Show the country on a map. 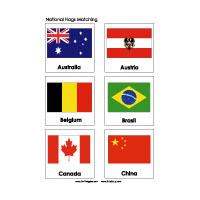 The Olympic Games are friendship games where athletes from all over the world compete with each other. 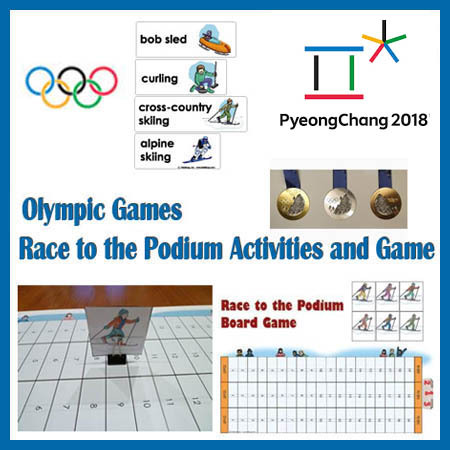 This year the Olympic Winter Games are held in Pyeongchang, South Korea. Show children South Korea on a map. 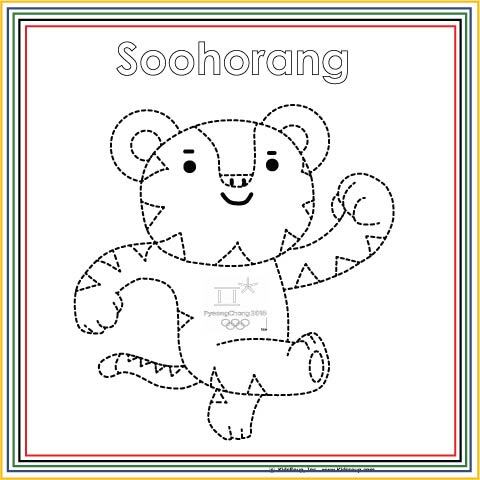 Place a picture of the flag of South Korea on the board. 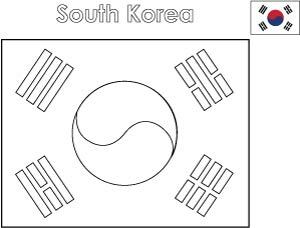 South Korea Flag Copy and Color printable. 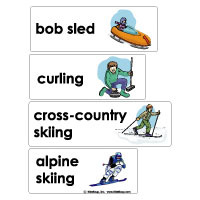 Ask children if they can name any winter sports the Olympic athletes will compete in. 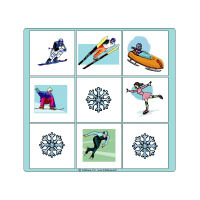 As children name different winter sports, place the Winter Olympics Word Wall cards on the board. 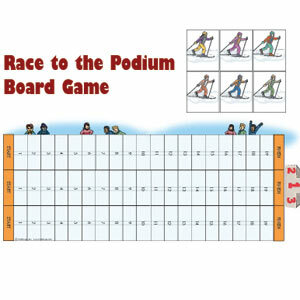 Adapted by Jolanda Garcia, KidsSoup, Inc.
Print the Race to the Podium Game Board printables and assemble board. Laminate for extra strength. Each player chooses a game piece and places the game piece on START. To determine who will start, each player rolls the dice. 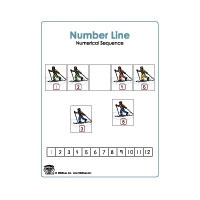 The player with the largest number can start the game. Taking turns, each player rolls the dice and advances the number of places. 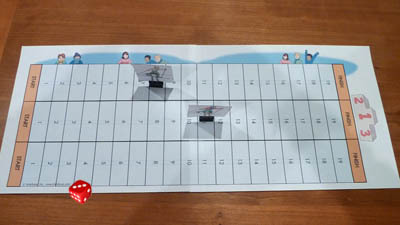 The player that arrives at the FINISH line first wins the game.